Beware! This book is so mind-boggling that if you read it unprepared, your brain might plop out and hit the floor. But if you can survive the Big Bang and the birth of our mighty galaxy, come and hurtle through space at the speed of light and unravel its cosmic mysteries yourself! Go on a grand tour of the solar system, where you can go skiing on Mars and meet a sad creature from Pluto. 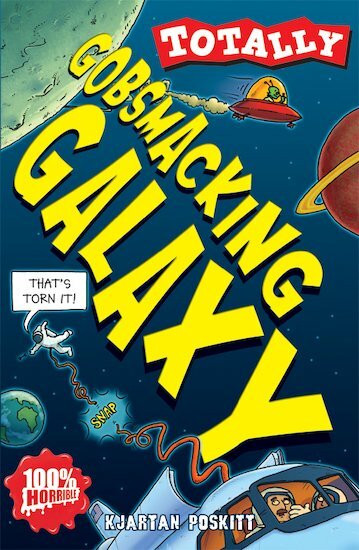 And visit the gobsmacking galaxy’s awesome inhabitants: white dwarves, red giants and supernovae.